The Counseling and Student Development Center (CSDC) Peer Fellows Program was established in 2010 as part of the Office of Student Affairs Students Helping Students Achievement Fellowship (OSA Fellowship). The goals of this program include promoting the retention and graduation of UH Mānoa students. 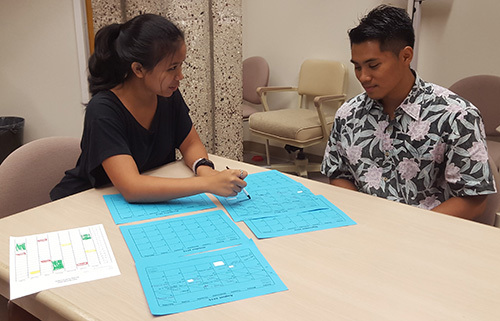 The Peer Fellows Program’s aim is to serve a range of UH Mānoa students who are challenged by academic and personal barriers. The Peer Fellows Program is a comprehensive yearlong (Fall and Spring semester) training and service program. We recruit a class of five peer fellows who work as part of a collaborative team. Peer fellows will also have opportunities to develop more individualized projects promoting student mental health depending on their areas of personal interest. Students of all academic majors are encouraged to apply. The beginning of the fall semester focuses on training peer fellows on a wide variety of topics including the roles and responsibilities of peer fellows, confidentiality, maintaining boundaries, record keeping, active listening, stress management, time management/organization, self-care, and campus resources. 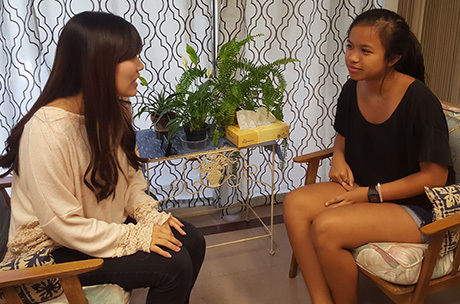 As the fall semester progresses, peer fellows take on a more active role in supporting the wellbeing and adjustment of UH Mānoa students. Of note, peer fellows DO NOT provide personal counseling services. Instead, they serve as an additional layer of support for their peers. Peer fellows will also complete professional development assignments and program evaluations through the Laulima learning community website for OSA Fellowship recipients. The Peer Fellows Program application is now closed. Feel free to check back next year to apply for our 2019-2020 cohort!